An oasis of emotions between dunes and the sea where to enjoy sun and beach in perfect relaxation. 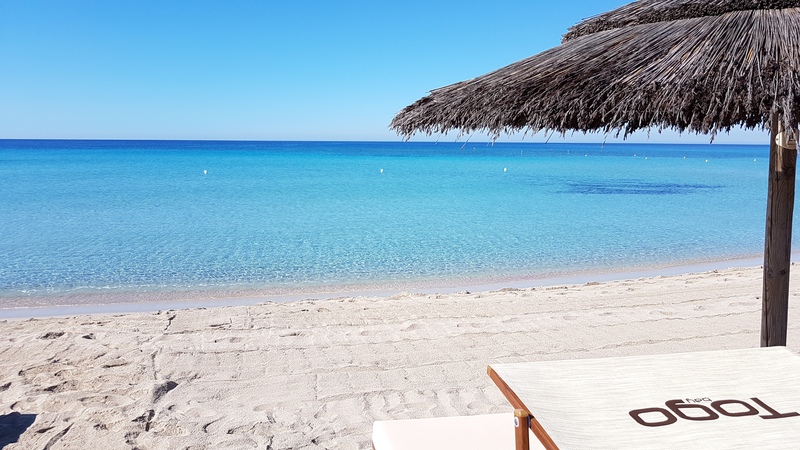 Revitalize the mind, body and spirit in the marvelous setting of Porto Cesareo, among sandy paths and unspoiled nature. You can choose the privacy of the VIP area under the shade of soft canopy beds, or the coolness of the palm tree with eight small beds or a petite palm tree for four or the classic two-seater parasol. If staying in the sun is your priority, relax on the sunbeds of our solarium. We enrich your summer with exclusive cocktails, typical dishes, sushi and the sound inspired by our unique sunset.